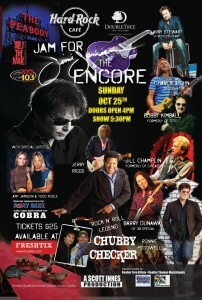 John will be performing with several artists at the Hard Rock Cafe in Memphis, Tennessee for the Tribute to Jimi Jamison! This event will take place October 25, 2015. The event will include performances by Bobby Kimball – Original frontman of Toto, Bill Champlin of Chicago, Charlie Huhn – Lead Vocalist of Foghat, Larry Stewart of Restless Heart, Chubby Checker, Ronnie McDowell, Roxy Blue, and many others! Tickets are available online, in-advance through FreshTix for $25. 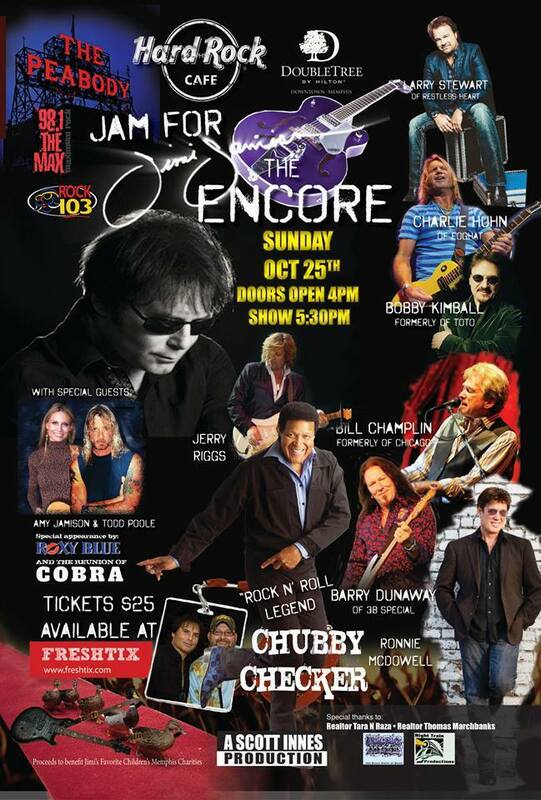 All proceeds from ticket sales will directly benefit Jimi Jamison’s favorite non-profit organization, St. Jude Children’s Research Hospital!